Anyone who is anyone knows Victoria’s Secret...but have you heard of PINK Nation? PINK is a Victoria’s Secret line targeted for a younger audience, typically ages 14 to 22. 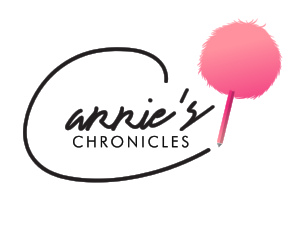 The brand sells adorable joggers, totes, yoga sets, bath suds, and much more. 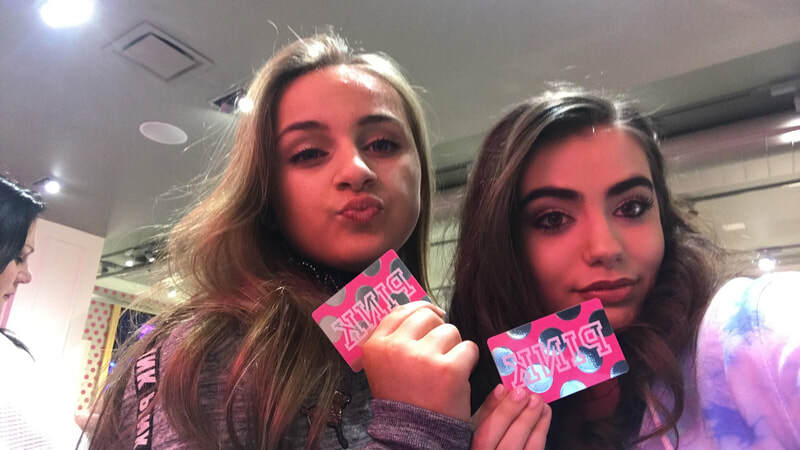 Through BBTC Nation—a modeling company that empowers young girls through exciting opportunities around the world—I was able to attend a private PINK Nation party during New York Fashion Week at the new Victoria’s Secret flagship on 5th Avenue. Take an inside look into my exciting evening here. As you can imagine, I had to wear pink to this event, as it was called the PINK party. I decided to sport a bubblegum-hued crop top and skirt from By the Way and paired it with a vintage, sequined Victoria’s Secret jacket from their 2016 runway show. Paired with sparkly gold sandals from Sam Edelman and voluminous crimped hair done by Maison de Chic Salon, I was definitely ready to immerse myself in PINK Nation. When the BBTC Nation girls and I arrived at the store, professional photographer Brett Martelli snapped shots of us in front of the huge window displays: angel wings straight from the Victoria’s Secret catwalk. As young models who only dream of walking such a renowned fashion show, we were all in awe. As we entered the store, we all headed straight for the winding glass staircase, surrounded by mirrors. We all posted to our Snapchat and Instagram stories (they even had a geotag for us!) and danced to tunes by Sza and Justin Bieber that the DJ was spinning. Then, it was time to head downstairs. We took pics in front of a giant “PINK” sign placed against a pink and white polka dot wall before it was time for the BBTC Instagram activity. BBTC Nation told us to find our favorite piece of clothing or beauty item on the floor and to post a picture or boomerang holding it on Instagram. Jenny Santos, the social media representative for PINK, notified us that the most creative shots would potentially be featured on PINK’s social media (7.9 million Instagram followers)! After the activity, BBTC Nation took us into the beauty area of the bottom floor, where we were allowed to pick out some gifted items. I grabbed the “Unicorn Vibes” and “Zen Out” bath bombs so I could get my chill on later, after a long night of festivities. 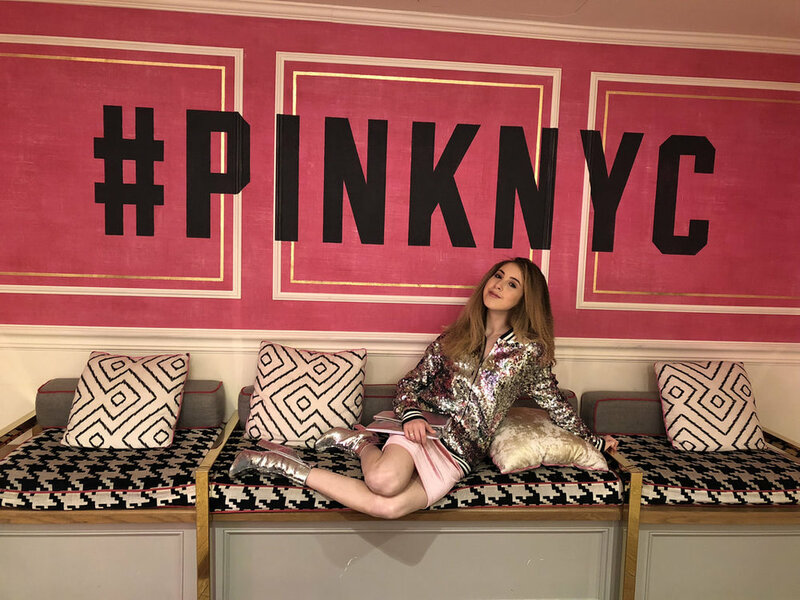 As we finished up on the bottom floor, I spotted very cool signs that said “LOVE PINK” and “#PINKNYC.” I posed in front of them and got some awesome, Instagram-ready shots. As the evening drew to a close, I was upset that the magic of PINK Nation was coming to an end. Actually, rewind that statement...I (and you too!) can relive it all over again by reading this blog.